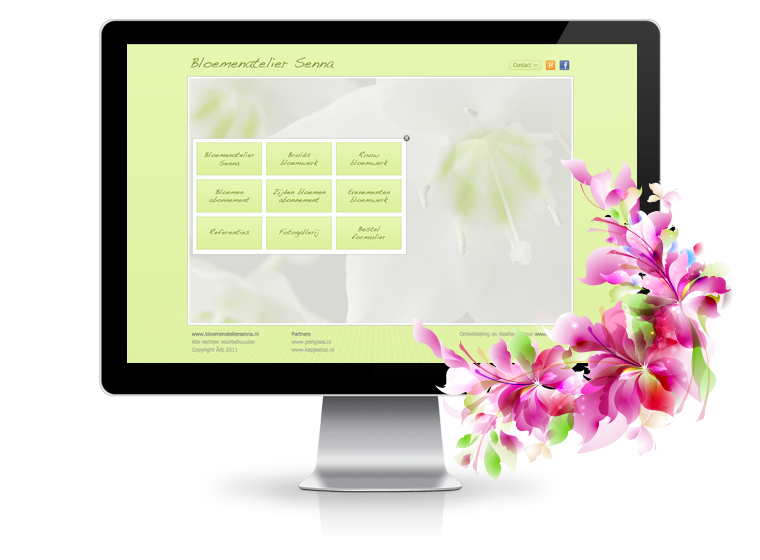 This website is a portfolio of Bloemen Atelier Senna, a flower workshop. On the website the visitor can browse through pictures from previous projects. When they find something they like they can simply click on the order now button on the right hand side and the image will be included in the order form as a reference.